It's going to be an awesomely warm day for October, so I'm going out with Mom for lunch & to the Falls (I'll take lots of pics, I promise) but when I get home I'll be doing some more catching up. Thanks for reading! I wish I had this collection but Nubar's are so hard for me to get. 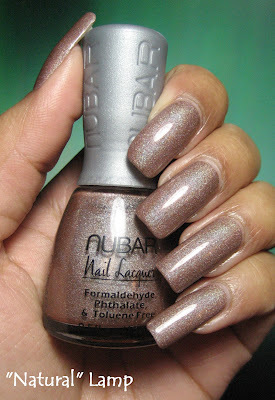 Nubar has some amazing polishes. Gorgeous taupe holo.